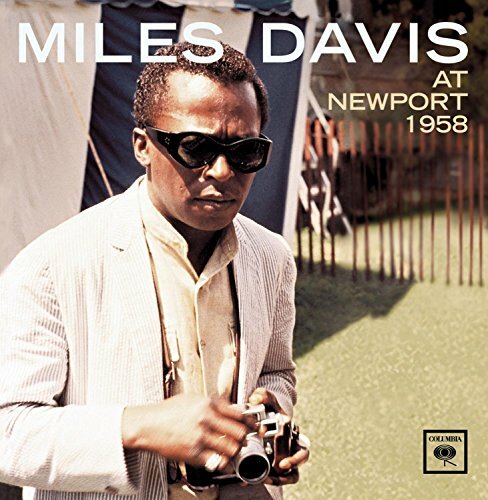 These two albums bracket the summer of 1958&#151;the first recorded at the Newport Jazz Festival in June, the second at a Columbia Records party in September&#151;and document one of Miles Davis&#146; best bands at the height of its powers. Tenor saxophonist John Coltrane had worked with Davis since 1955, and would depart for good in 1959, as would alto player Cannonball Adderley, a relatively new addition to the band. Bassist and drummer Paul Chambers and Jimmy Cobb would form the backbone of classic albums like Milestones and the immortal Kind Of Blue. Pianist Bill Evans, possibly the most controversial member of this group and its only white member, would also appear on Kind Of Blue, before departing to form his own brilliant trio. During its time together, this sextet was unstoppable, the absolute pinnacle of small group jazz performance. These two live discs find the group working in two different modes. The Newport show is brash and impetuous; the group seems driven, by the festival&#146;s outdoor setting, to fill the air with music. 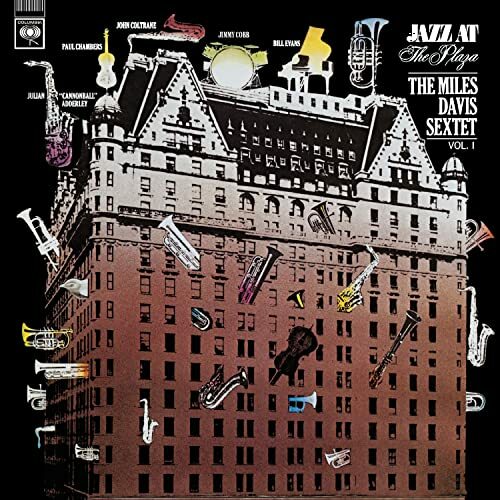 Playing five full-length compositions and concluding with a run through their traditional set-closer, &#147;The Theme,&#148; the band swings hard, Miles&#146; melodies heading for the sky with an abandon rare in his discography. John Coltrane&#146;s solos, particularly on the lengthy &#147;Bye Bye Blackbird,&#148; are knotted-forehead rants, forecasting the assaultive heights he&#146;d reach in his solo career. Only Evans seems, at certain key moments, removed from his bandmates&#146; headlong drive; the crystalline, Zen-like beauty of his solo work is, here, almost a detriment. The Plaza Hotel set, by contrast, is mostly introspective. The pieces are longer, three of the set&#146;s four cuts heading towards the eleven-minute mark. From the first jagged shards of &#147;If I Were A Bell&#148; that open the forty-minute disc, Miles is playing short, sharp bursts of notes almost like the evasive riffs he offered seven years later on the Complete Live At The Plugged Nickel box. The sextet still swings hard, but it&#146;s not as extroverted a set as the earlier performance. The group seems more focused on their own communication, between one another, than on speaking to whatever audience was present. Part of this may well have been a result of performing to a crowd of record company employees, rather than fans who&#146;d paid cash to attend. This is not to say that the music is any less brilliant than on the earlier disc. Both of these are, if not commonly recognized or cited as &#147;classic&#148; items in the Davis discography, certainly well worth owning and hearing, again and again.